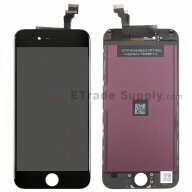 ● This iPhone 6 LCD assembly includes the parts as mentioned above. 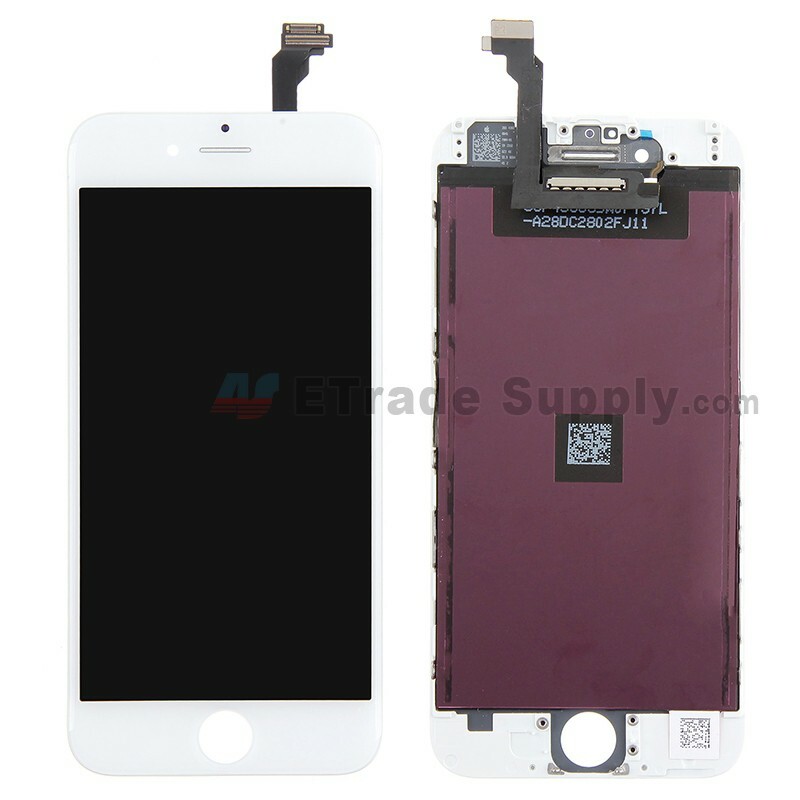 ● This iPhone 6 LCD and digitizer assembly is a brand new but not original replacement. 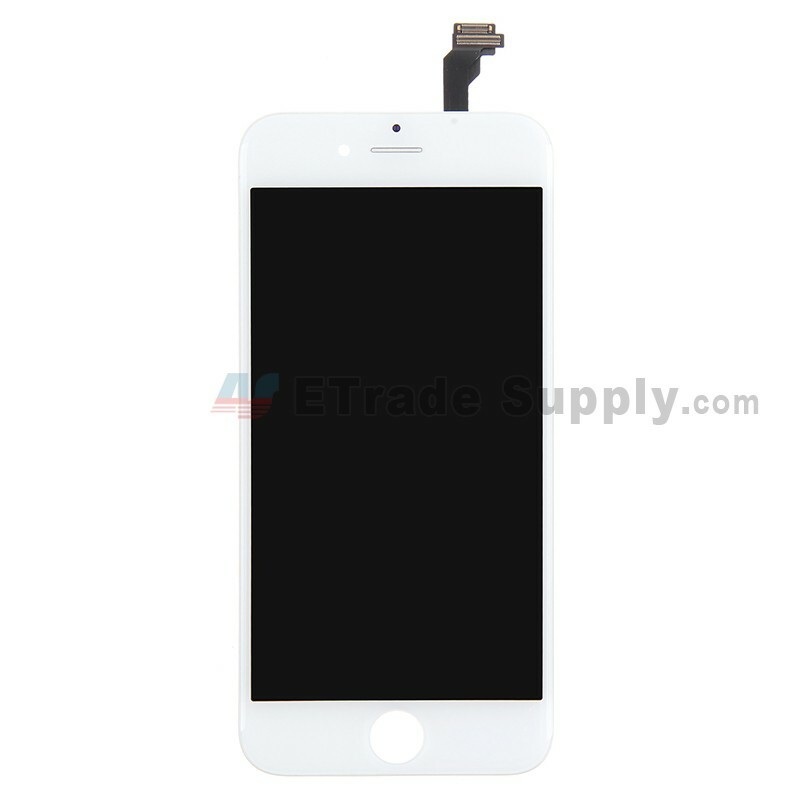 We can also supply the brand new original iPhone 6 LCD and digitizer screen replacement. 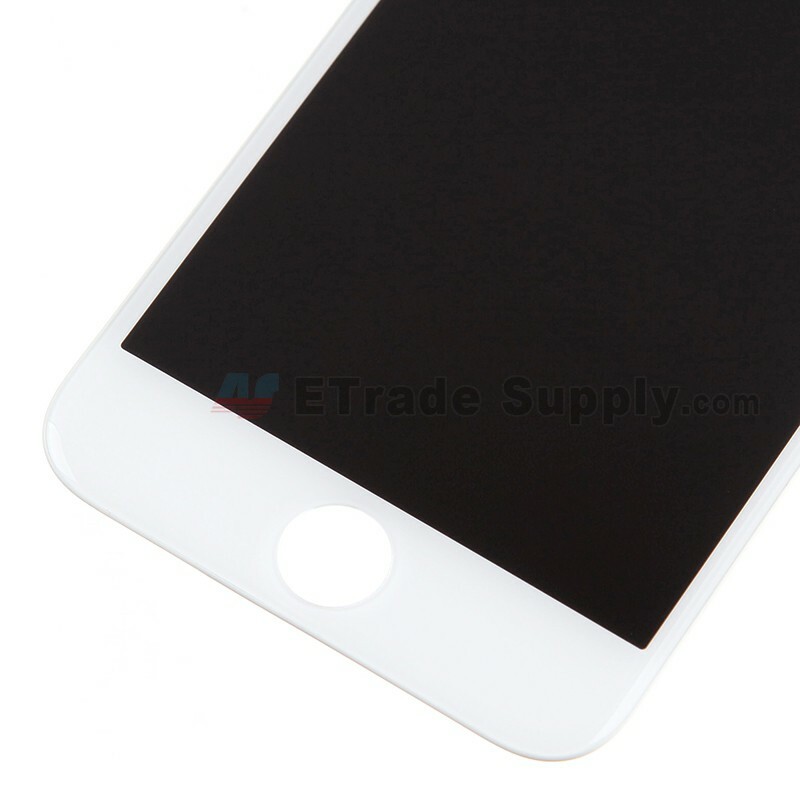 ● The iPhone 6 LCD assembly is available in black and white, this is the white one. ● This screen replacement is compatible with iPhone 6 only. 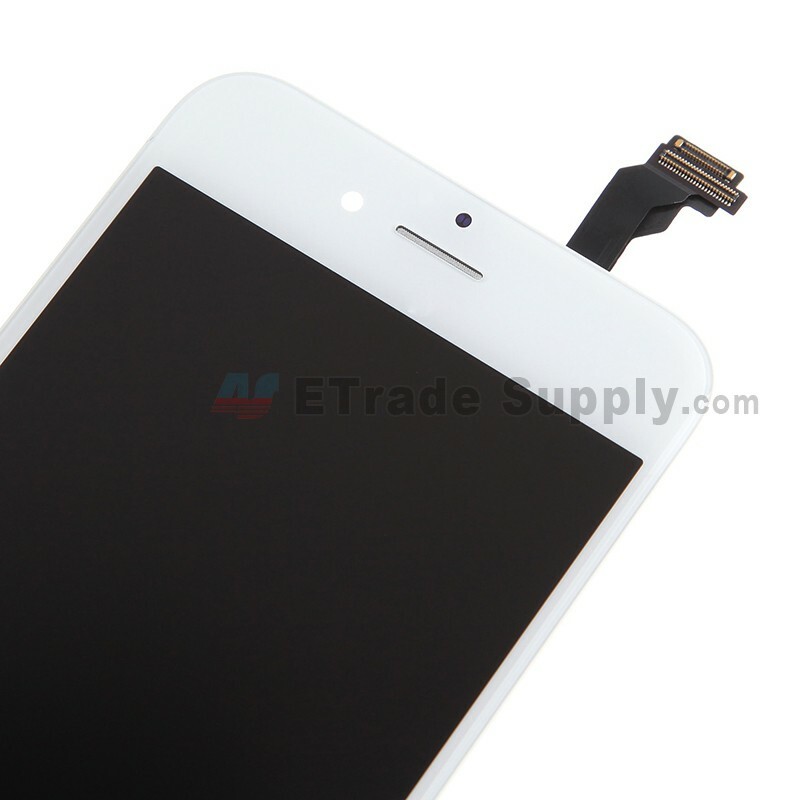 Please do not confuse it with the iPhone 6S LCD and digitizer assembly. ● Special repairing tools are required for assembling or disassembling, as the Apple iPhone 6 LCD display and digitizer are hermetically attached. Great quality and shipped fast! Like others have said.. The frame isn't well glued and causes the screen to not fit so well into the rear housing. I've bought others aftermarket screen that were A LOT better. Not the quality you'd expect from ETS. Best non-OEM replacement I ever got. Great quality and fast shipping. I received everything within a week. A couple of screens were glitchering, but the overall quality is good. I suggest testing more screens before sending. Fast delivery and good service feedback. Would appreciate more shipping options. Works great. Frames on earlier batches weren't well glued on the sides but recent batches have fixed that issue. I've only had one out of 100 faulty so very good QC.